Diamond Bar Golf Course is what we call an "old school" golf course. I don't know what happened but sometime between 1957 and 1977 they must have made tens thousands of golf courses with similar club houses. So, right away you know it's not a flashy facility. You won't fool your guests into thinking that your wedding reception is at the Ritz Carlton. But, for week in and week out for decades this facility has been a good, clean, friendly, approachable wedding venue and reception venue. There is some real hidden beauty at this facility. Some parts of the property photograph wonderfully, others not so much. You kinda have to know your way around this property. This is one of the American Golf properties. I have to tell you, American Golf has some stellar pieces of property. The thing that has always surprised me about this golf course is how it's never been upgraded. In fact, not much has changed about it since I first stepped foot in it during the late 1990's. I can point to the neighborhood and it's in a good part of town. It's right down the street from million dollar homes. My thinking about this place is that place struggles with the economy as running golf courses aren't as lucrative as they once were. But American Golf has a tendancy of putting " under renovation" signs up on their property and tearing down club houses and putting in million dollar upgrades. I have a feeling that this venue is slotted for this upgrade, and may have even happened by now if it wasnt' for the reccession. Sooner or later this golf course will be one of premier golf courses to have a wedding reception. As for right now, you can have your reception here at a good value. We've been to this facility for many, many times. It's a mature golf course, its not a country club. It's situated very close to the 60 freeway in Diamond Bar near the 57 split. Because of it's location and proximity to the freeway it's an excellent geographic spot to host a wedding. Centrally located between Los Angles, Orange County and San Diego it's a great place to host a wedding if you have people coming in from all over. Because of it's location and the numerous things it has going for it, this place is an excellent candidate for a remodel and conversion from golf course to country club. When that happens you can be assured that the rates go up as the property is transformed into eye candy. Over the last seven years I've had clients ask me in particular about this facility. Occasionally people have been on the fence about this facility and wonder if it's good enough for their wedding. I tell them its a nice facility, it's clean, with good decorating it can be quite beautiful. The thing that throws it over the top is the people who work at this place. They go over and above to make the weddings go smoothly. 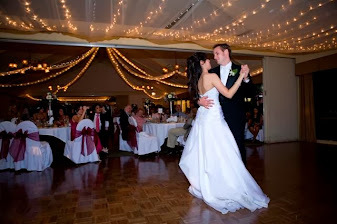 We've always followed up with the clients who get married here, and they always have a good report about this facility and have been very appreciative of the staff. They don't have any regrets. This place really is a gem when it comes to photographic potential. That is, if you know where to find it. The gazebo area is beautiful if shot in a certain way, yet, if you shoot the wrong direction the background can get cluttered. 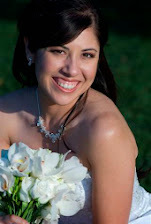 The people at the golf course will take you out in golf carts to the more popular areas for wedding photography. The tour is full of lackluster spots that simply don't photograph well. Yet, there are a few exceptional spots. These locations are just wonderful for photography. The difference between someone who knows the grounds well and who doesn't will very much make or break your wedding photography at this venue. Other than knowing how to photograph on the greens the inside can photograph well or not depending on how it's lighted. There are also a couple of suggestions that we know what to do in order to have the photos turn out better. They are simple things that don't take too much time and attention from the staff and it can make or break a few key photos. 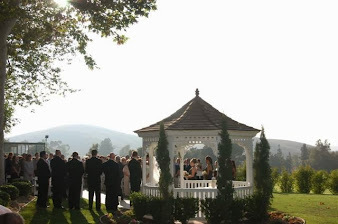 The location of the gazebo is right next to where the reception is held. This makes it easy on your guests, especially older guests who have limited mobility. The site is perfect size for holding a ceremony, as the view isn't obstructed. As a photographer we can move freely around the outside of the gazebo and get many interesting angles. The grounds around the gazebo are nice! Wooded Scenery- There are some lovely locations for shooting away from the ballroom, if you know where to look. Affordability- I have no clue what the prices for this site are, but I'm I'm willing to bet that they don't charge as much as they could for this facility. Location to freeways- Easy in and out of this site means that you can have wedding ceremonies at a church some distance of 20 to 30 miles away and still use this site. This opens you up to Los Angeles, Orange County and Inland Empire churches. Even if your church isn't that far out your guests will appreciate how easy this place is to find. The Staff- This is a staff you don't need to micromanage. You tell them to do something, it will be done. The level of service and attention to detail is very surprising for a place that is so affordably priced. We've done some excellent work at this facility. It has the potential to make nice images, or not depending upon the skill of your photographer. This facility has a lot of things going for it and a few very noticeable visual distractions that must be worked around. As I mentioned before in other venue reviews golf course weddings aren't for people who want to hold their weddings at the Ritz Carlton. You have to be wiling to overlook some things if you have a wedding reception at a golf course. When you look at this place you should keep these things in mind. Things that make me wonder. . .
Perhaps it's wrong to compare and contrast this facility to other facilities. But the thing that makes me wonder from time to time is when I work at the Lake Arrowhead Resort. There is of course the lovely Lake Arrowhead body of water next to the hotel which is lovely. Brides spend huge amounts of money and drag everybody up the mountain to get to this facility for their wedding. They tell me that they are constantly booked with weddings, often multiple weddings each weekend. But, when I get into the reception room it's exactly on par with the Diamond Bar Golf Course. Sure Lake Arrowhead is lovely in the daytime. At night it's not as lovely. If you are having a nighttime reception consider it won't make much of a difference where your reception is held after dark, people won't spend a lot of time looking outside.